Ovens come in many different types, and are made by many different manufacturers. In the end, they are all designed to make cooking easier. Most people use their ovens at least once a day, and that can cause a malfunction to occur at some point. Any kind of mechanical or electrical device like an oven can fall to wear and tear over time. Luckily, Appliance Repair Oshawa excels in oven service, from repairs to installation and everything in between. Let’s start off with our oven repairs. We provide excellent deals on all oven repair services in Oshawa, no matter what kind of oven you have. Our technicians can repair any kind of oven; regardless of make or model. Whenever you need our professional repair services, it’s only a quick phone call away! We can also provide professional services for ovens powered by natural gas. If you need gas oven repair, don’t hesitate to let us know! 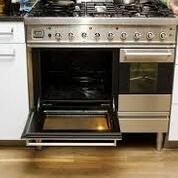 We are extra careful with these types of ovens, as great harm and damage can occur if a gas oven isn’t properly serviced by a qualified technician with years of experience. You’ve got nothing to fear with us, our technicians are professional and experienced. If you have a microwave oven in need of repairs, we can help with that too. Oshawa Appliance Repair provides professional microwave oven repair when you need it most. We know how important microwave ovens are, especially if you’ve got a baby in need of heated formula. Finally, we can provide you with professional installation services for ovens. Our oven installation is a great value, and sometimes you just need a helping hand to get it done. We can also provide built in oven installation for those with the proper spaces for such ovens. 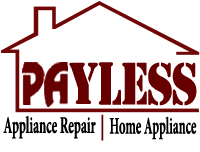 Give us a call today and we’ll answer any questions you might have!